The shop is in a rustic building that was originally a work shed lined with cupboards full of tools and junk when the Lloyd family bought the property in the late 1960s, but was gradually cleaned out and turned into a sitting/dining room for parties and dinners. 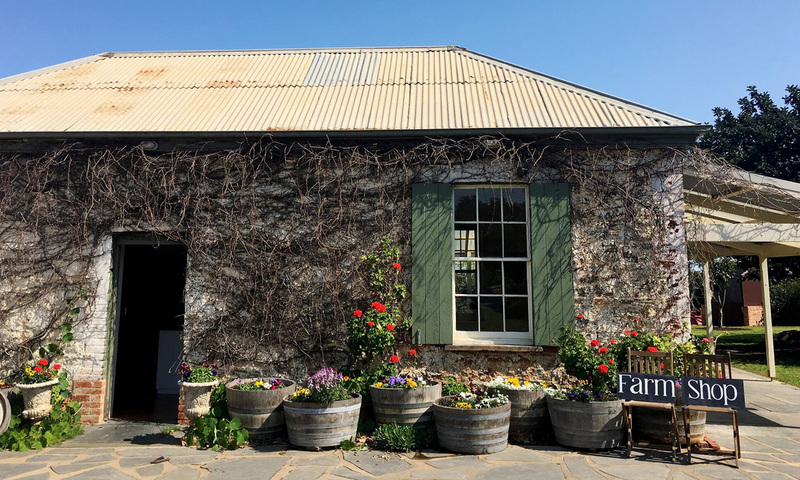 In more recent years, it has been known as The Wine Room and used for special wine tastings, conferences, and as an extension for the Coriole restaurant in busy periods. “It’s had a lot of uses and it’s a gorgeous space,” says Coriole communications and marketing manager Alexandra Stocker. The shop stocks products which are made on the estate, including olives, olive oil and verjuice, as well as a range of cheeses, relishes, honey and other items from two “sister companies”, Kris Lloyd’s Woodside Cheese Wrights and Kris Lloyd Artisan (Kris is married to Coriole manager Paul Lloyd). “Our kalamata olives win awards quite frequently, our olive oil is some of the best in the industry and we’re developing a new range of vinegars … so it makes sense to highlight them,” Stocker says. Museum flights are also being offered at the Coriole Farm Shop. 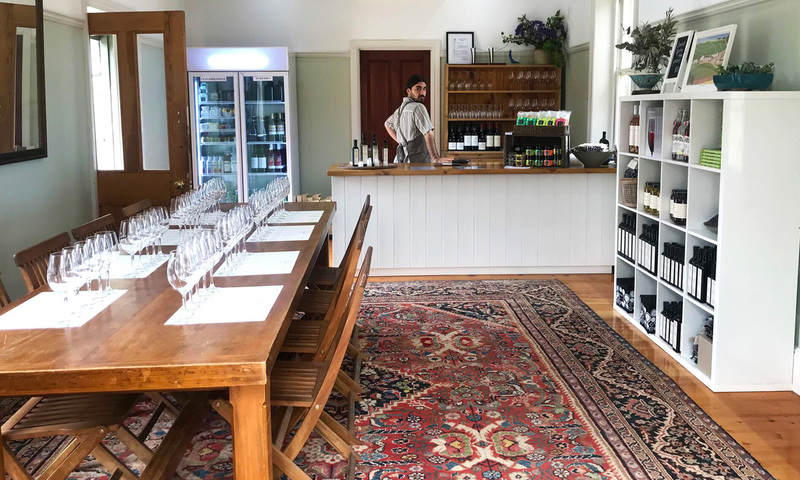 The Gather at Coriole restaurant – which was launched in mid-June as a partnership between Coriole and chef Tom Tilbury, of Gather Food and Wine – is also preparing to release a range of new products next month that will be sold through the shop. These will include flavoured salts, oils and vinegars infused with botanicals from the Coriole kitchen garden, plus hot sauces made from estate-grown chillies. “It’s connected to our restaurant philosophy of gathering from the land we work with and highlighting those things – there will be a touch of native Australian produce as well,” Stocker says. Although there are plans to eventually make the Farm Shop a seven-day venture, it is currently open only on weekends and public holidays. Visitors can taste the range of products for sale, as well as buying wine by the glass or bottle and tasting plates that can be eaten in the estate gardens. The historic building that houses the new shop. Stocker says Coriole wants to offer more educational experiences as well, and as part of that people can book in advance for a museum flight tasting, which currently includes the 2010 Chenin Blanc, 2010 Nebbiolo, 2007 Vita Sangiovese, 2010 Estate Shiraz and 2011 Lloyd Shiraz. “We can tap into the fact that we’ve got history here.